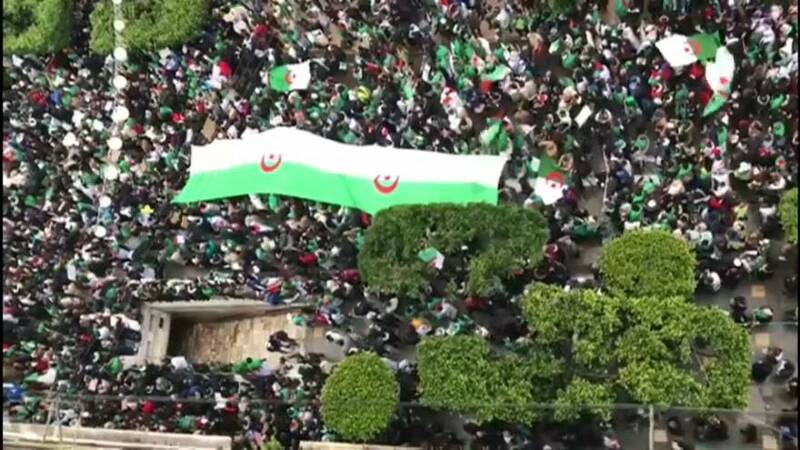 Hundreds of thousands of Algerians took to the streets of Algiers again on Friday to rally against their ailing 82 year old president. Police used tear gas as some protesters moved towards the presidential palace but otherwise the rally was peaceful. The protests are a month old now and Abdelaziz Bouteflika is under growing pressure to quit. So far he's dropped plans to stand for a fifth term in office but insists he'll remain in power until a new constitution is approved. Bouteflika is rarely seen in public since suffering a stroke in 2013 and recently spent a few weeks in a hospital in Geneva receiving treatment. Crucially some members of both the army and the ruling party have crossed sides and are now backing the protesters. But the army has intervened in politics before - in 1992 they cancelled an election which Islamists were expected to win. That triggered a civil war in which an estimated 200,000 people were killed.